Unfortunately, aggressive people are everywhere. 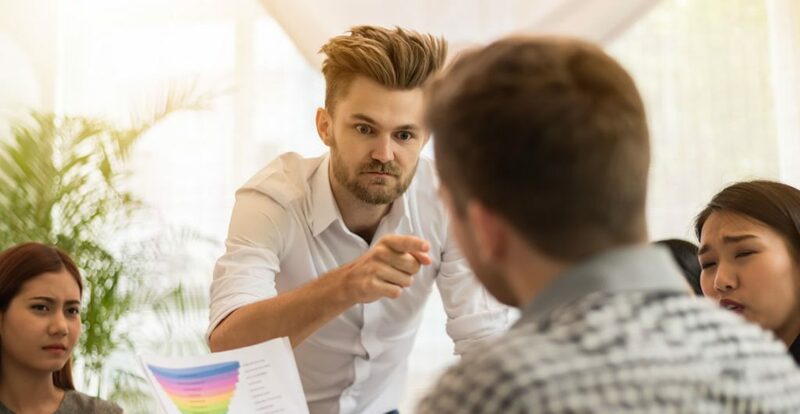 Regardless of what your type of job is or your role within your organisation, there is a good chance that you are going to have to work with an aggressive individual at some point. If you are not prepared, this can create a lot of stress and anxiety, which can make work seem unbearable and it can quickly spill over into your personal life. Learning how to cope before it becomes problematic is the best way to handle what could otherwise be a potentially difficult situation. This course goes into detail about how to work well, even if one or more of your colleagues has an aggressive personality. It begins by discussing the various types of aggression that you are likely to encounter at work. Next, we review a few strategies that are successful when used with aggressive people. One of these strategies is to become more assertive in your own communication, which is covered in detail. Finally, we give you instructions on how to quickly resolve workplace issues to reduce the impact of any aggressive behaviour. Who can take the Working With Aggressive People Certification course? How long does it take to complete the Working With Aggressive People Certification course?